Approximately one in eight patients treated with catheter ablation for AF will undergo a second procedure within one year, although the rate is as high as 40% in young patients at five years. Privately insured and Medicare Advantage American patients who underwent the procedure between January 1 2004 and September 30 2014 were included in the study. The primary outcome was repeat AF ablation during enrolment. Authors examined the associations between repeat ablation and patient demographics (age, gender, socioeconomic demographics), co-morbid conditions (CHA2DS2-Vasc score, and Charlson-index), and year of the index ablation. Cox proportional hazard models were used to identify predictors of repeat ablation. They included 8,648 adult patients in the analysis. Median age was 61.0 (interquartile range IQR -54–68) years and 70.9% were men. Median follow-up was 1.1 (IQR 0.5–2.3) years. A total of 1,263 patients underwent repeat ablation (14.6%) over a total of 14,280 person years (12.1% at one year). The hazard ratio (HR) for repeat ablation was higher in younger patients (HR 0.75 [0.61– 0.91; p < 0.01] for age 65–75, and 0.55 [0.4, 0.75; p<0.001] for age ≥75 compared to age 18-54), higher household income (HR 1.24 [1, 1.54; p<0.05] for household income ≥$100,000; compared to household income <$40,000), patients treated in the south (HR 1.15 [1, 1.31]; P<0.05), and among those on anti-arrhythmic medications (HR 1.15 [1.01-1.31]; P<0.05). In particular, younger patients (ages 18–54 years) continued to undergo repeat ablations over the entire follow up period and the cumulative rate was approximately 40% among those followed for five years. Clinical characteristics including those included in the CHA2DS2-Vasc score and Charlson index did not predict likelihood of repeat ablation. Rate of repeat ablation remained constant over the available follow up. 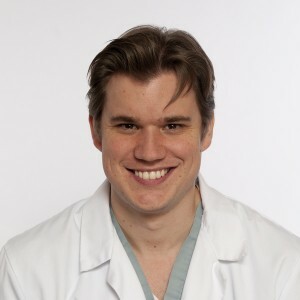 “We can tell our patients that, on average, [they have a] one in eight chance of undergoing a repeat ablation procedure within the first year…I found it interesting that certain demographic characteristics were associated with the likelihood of a repeat ablation – more so than the typical comorbidities we think of predicting the likelihood of recurrent AF after ablation,” Dr Noseworthy added.